It is the way of almighty God to bring honor to those who are mean in their own eyes. 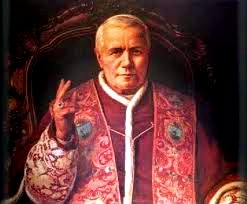 That has been demonstrated in the life of Joseph Sarto, later Pope Saint Pius X. He was born in 1835 in the little Venetian village of Riese, where his parents, who were unimportant but devout people, reared a family of ten children during a period of great need. The clergy of the parish interested themselves in Joseph, the well-behaved leader of the Mass servers, and assisted him in securing an education. In the year 1858, when he was 24 years old, he received holy orders. For nine years he was chaplain in Tombolo. His superior wrote of him: "I am convinced that some day he will wear the mitre, and then -- who knows?" Chaplain Sarto took the great Franciscan St Leonard of Port Maurice as his model in life and in the pulpit. At four in the morning he was already kneeling before the tabernacle. For 9 years he was pastor in Salzano. 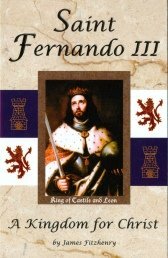 It was during this period that he joined the Third Order of St Francis and established 2 fraternities of Tertiaries. Henceforth he strove in his words and in his writings, especially by Franciscan simplicity and frugal standards of life, to emulate the ideals of the seraphic saint. For another space of 9 years he was vicar general, canon, and regent of the seminary of the diocese of Treviso. "He will not die in Treviso," was significantly said of him at that time. He was bishop of Mantua for 9 years. This made no change in his habits of life; he would not tolerate any festive receptions. He devoted himself with unflinching zeal to the ever important apostolate of the press, the pulpit of modern times. At the same time, the poor were his favorites. As patriarch of Venice he wore the purple of the cardinalate for another period of nine years, always remaining a faithful son of the poor St Francis. The death of Pope Leo XIII in 1903 brought him to Rome for the papal election. Who would be the new pope? 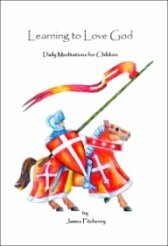 Cardinal Sarto answered: "Leo XIII, who enlightened the world by his wisdom, will be succeeded by a pope who will impress the world by the saintliness of his life." Without suspecting it, he gave a description of himself. After he had been elected pope he announced his program: To renew all things in Christ. 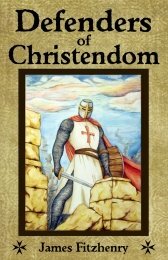 He did much for religious revival, especially by promoting early and daily Communion, by enacting measures for the sanctification of the clergy, by encouraging the Third Order, and last, but not least, by his own holy life. His great heart broke when the catastrophe of the World War befell us. "I wish to suffer, Pius X said in his illness, "I wish to die for the soldiers on the battlefield." On August 20, 1914, Pius X died peacefully at the age of 79. His will was genuinely Franciscan: "I was born poor, I have lived poor, and I wish to die poor." Many miracles occurred at his tomb, and the process of his beatification was introduced in 1923, and he was beatified in 1951 and canonized in 1954. 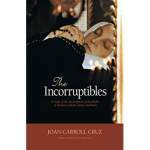 Continuously popular since it first appeared in 1977, The Incorruptibles remains the acknowledged classic on the bodies of saints that did not undergo decomposition after death. Many remained fresh and flexible for years, or even centuries. After explaining both natural and artificial mummification, the author shows that the incorruption of the saints' bodies fits neither category but rather constitutes a much greater phenomenon that is unexplained by modern science to this day. The author presents 102 canonized saints, beati, and venerables, summarizing their lives, the discovery of their incorruption, and investigations by Church and medical authorities. The incorruptible bodies of saints are a consoling sign of Christ s victory over death, a confirmation of the dogma of the Resurrection of the Body, a sign that the Saints are still with us in the Mystical Body of Christ, and proof of the truth of the Catholic Faith—for only in the Catholic Church do we find this phenomenon. Impr. 342 pgs 33 Illus, PB.